This morning, TJ Dillashaw announced that he failed an in-competition drug test for his January showdown with UFC flyweight champion Henry Cejudo. Dillashaw added that he has chosen to relinquish his UFC bantamweight title as a result of this unfortunate situation. 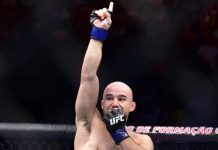 Shortly after this news broke, Ariel Helwani reported that the New York State Athletic Commission (NYSAC), who oversaw Dillashaw and Cejudo’s Brooklyn battle, had suspended the former for one year. That being said, it was not immediately clear how the United States Anti-Doping Agency (USADA) would react. On Wednesday afternoon, the agency released a statement on this TJ Dillashaw issue. Unfortunately, this statement does not identify the banned substance the test turned up, nor does it divulge Dillashaw’s punishment. That being said, it does remind that Dillashaw is entitled to due process before conclusions are draw. 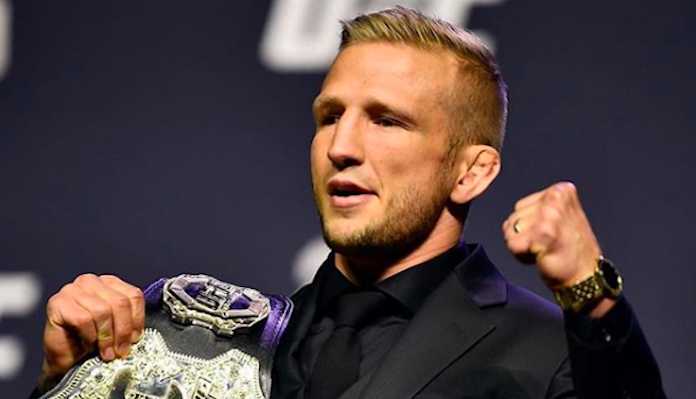 “In light of Mr. Dillashaw’s social media post this morning, we can confirm that an in-competition test conducted by USADA on January 18, 2019 resulted in an adverse analytical finding,” the USADA statement read (h/t MMA News). Stay tuned for all the latest on this TJ Dillashaw ordeal as details emerge.